Hi friends! I wanted to say "thank you!" to everyone who took the time to fill out my reader survey! 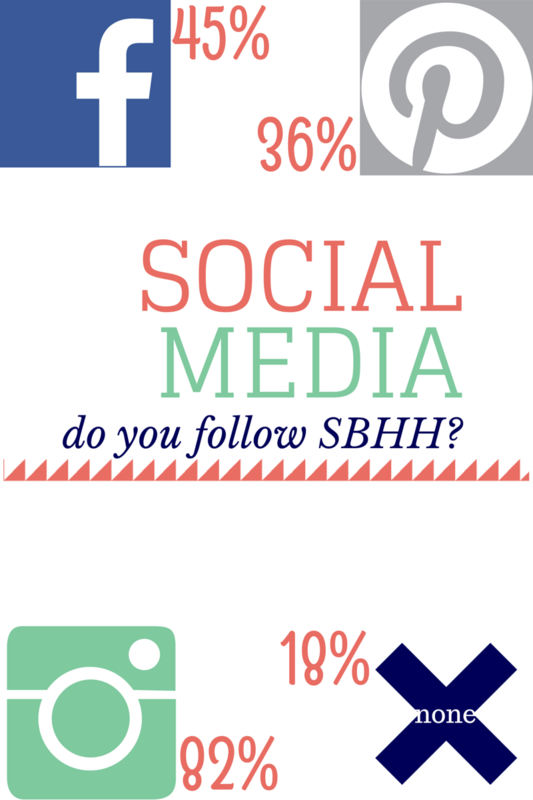 It has really helped me evaluate the blog and where I want it to head in 2015! I wanted to share those results with you (because it's always fun to see what people think, right?!) as well as some changes that you may have noticed around the blog! I have definitely been working on my photography skills! I am not a photographer, but I am trying to get better and have learned a few things here and there. Hopefully I can keep improving! As far as size, I make them as big as the blog allows! I think the category suggestion was referring to having all the posts of each type laid out on one page so that you don't have to click on the label and scroll through tons of posts. I definitely get that! I will start looking into what would be the best way to organize and have this available! I got a few comments about color scheme early on. I did all the blog design on my laptop and almost always post from there and the color was pretty mild on that screen. I did notice on our desk top that the pink was REALLY bright, so after getting this suggestion once again, I decided it was time for a different scheme. I chose a mint, coral and navy combo! Hopefully you like it and it is easier on the eyes!! So apparently I need to talk a lot more about marriage! I can definitely do that!! I have a few fun ideas for marriage related posts that I hope you will all enjoy. 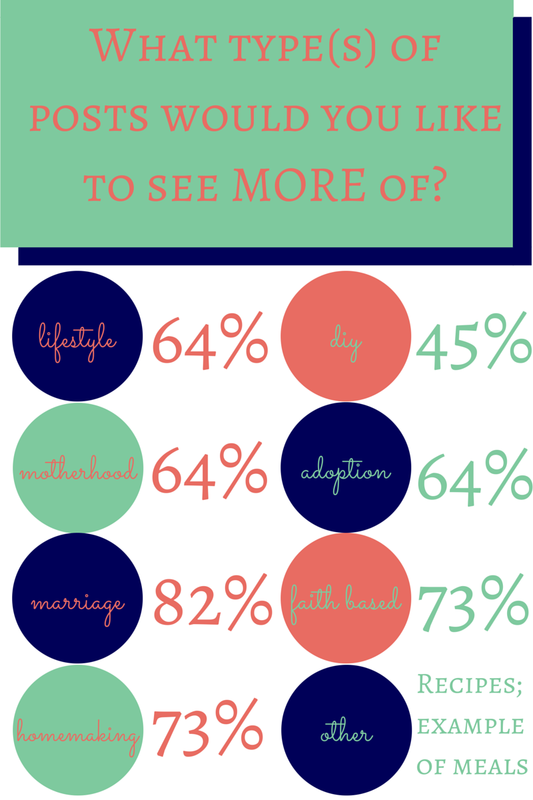 Marriage is one of my greatest passions so I'm happy to talk more about it! I am even thinking I might have to get my husband in on the action...what do you think?! I have several recipes in the making,and I will continue to talk about all of these other things as well! I'm glad to see what you all enjoy reading about! 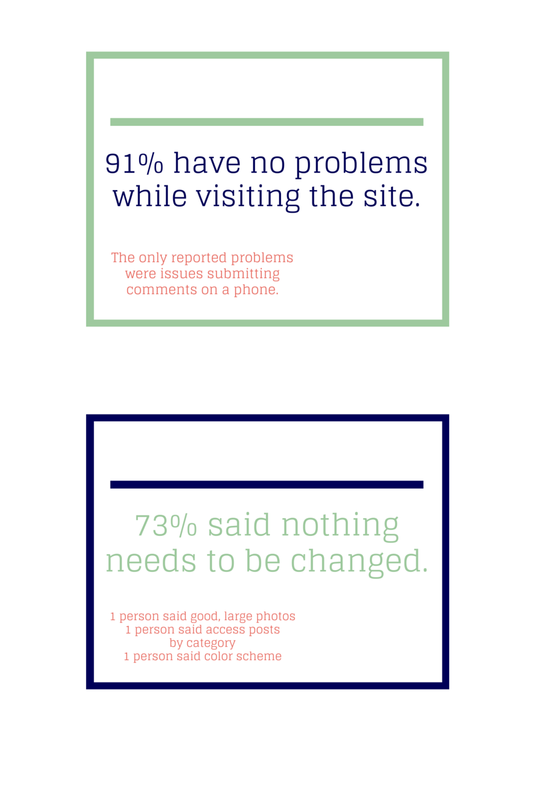 82% said it would be EASIER to comment using Disqus. You'll be happy to see that I made the switch! If you don't have a Disqus account, you just register once, and it keeps you signed in! It's totally easy! This also gives me a chance to reply to comments directly on the post, so that if people have the same questions, they can see the answer. Also, many commenters don't have their email addresses linked, so prior to Disqus I couldn't respond to a lot of people's comments. When asked the question "What keeps you coming back?" 64% of people gave some type of answer regarding my family, kids, or my personality. Everyone's answers were so sweet! 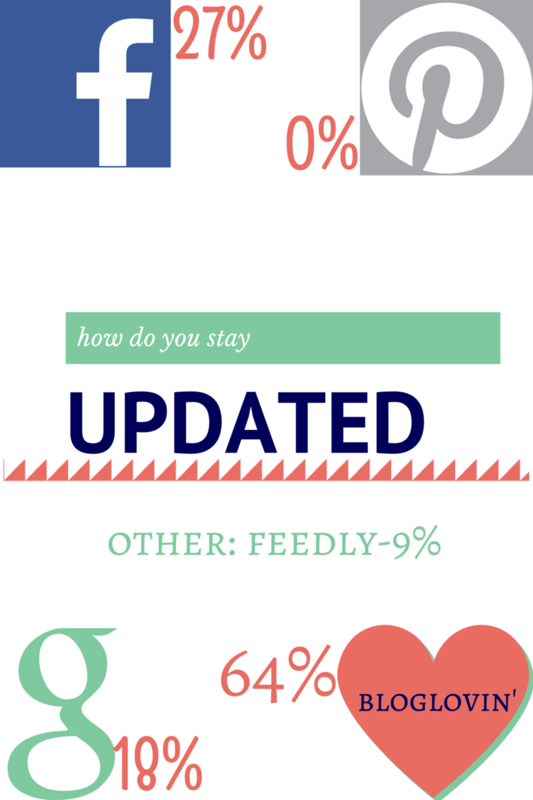 27% of people said they don't comment because it is hard on their phone (it is, and I totally get that). 27% said that it is because they have nothing to say. 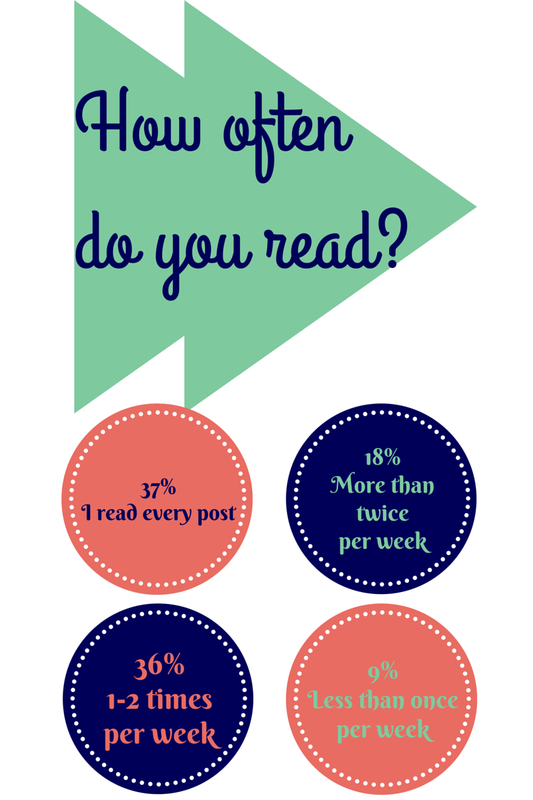 Other responses included laziness, time, and because they read in a feed, not directly on the blog. I understand all of those and only asked because I was curious. I am not the best at commenting either, but I'm trying to get better! Other suggestions--I was asked to talk more about our Downsize (I am planning to! 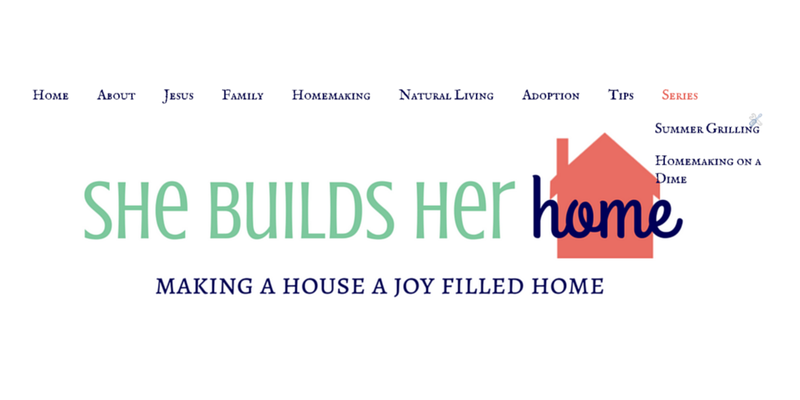 ), and to do a home tour and talk about organizing a small home. I am planning to get to talking about these things, but decorating the house and finishing the basement is taking a lot longer than I planned! Thank you to everyone who gave me feedback! It has helped me so much! Now, for some of the changes here on the blog! The first one is the sticky navigation bar at the top. Man, this was a labor of love. None of the tutorials worked correctly for me for whatever reason and my husband and I were up until the wee hours of the morning in the code trying to figure out what needed to be changed. We got it to work, but not 100% how I want it. I hope to figure out how to add a bar behind it rather than just transparent, but so far we haven't been able to increase the width of the bar so it doesn't go across the whole page, which looks weird. But anyway, hopefully it will make navigation a lot easier! Everything I write about is up there and in one of those categories and the best part: drop downs!! Sub categories within the categories! Hooray! The other biggest change is the sidebar. I cleaned it up a lot. I took out the little about me blurb, and now you can click on my photo to just go to my about me page, since they pretty much said the same things! 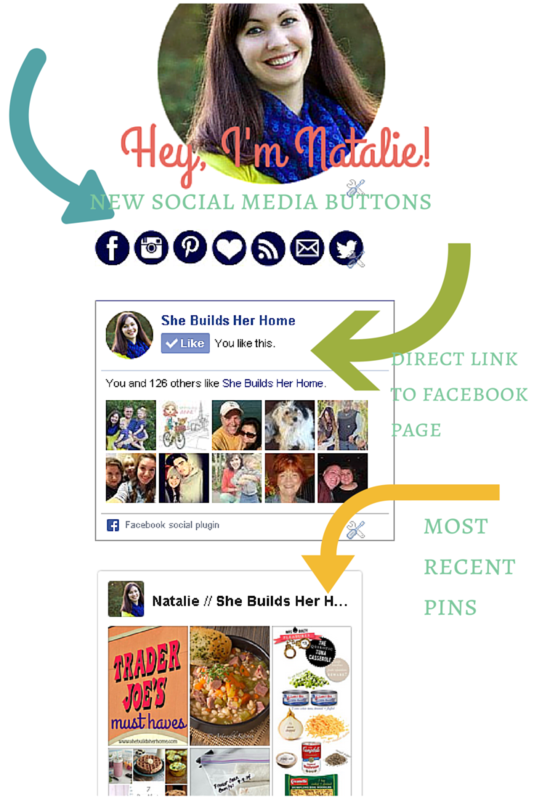 I added new social media buttons (including Twitter, which I am going to try reaaaallllly hard to start liking), a widget to take you directly to my Facebook page, and a Pinterest gadget that shows you my lastest pins! I also added a link to our adoption page under those. 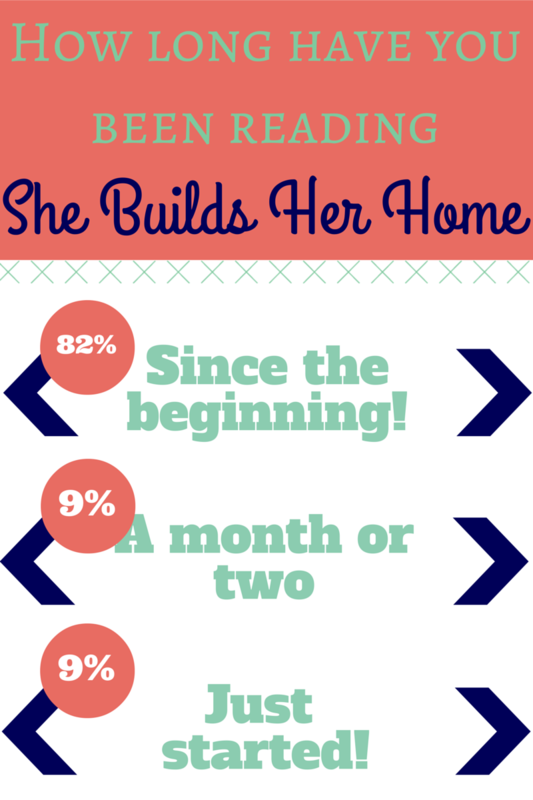 There are several other changes, but I think these are the things that affect you readers the most! Hopefully it cleaned up my site some and makes it even better for you all! I also updated the pin it button for a cleaner look, added a new signature, some new fonts, etc. I have a few things yet that I would like to do, including adding popular posts on the sidebar, so stick with me for even more! Thank you all for reading and for the support! I am looking forward to growing my blog and making it even better this year!